This week, we are introducing a second paper from the Geek Anthropology session which was part of the 2013 AAA annual meeting program. To view the first video, click here. 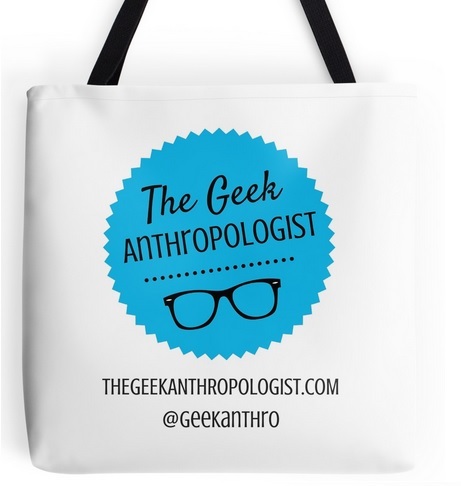 This week’s paper is From Geek to Chic: A Case Study in Identity and Consumerism, by Jennifer Boyd, a graduate of the West Chester University of Pennsylvania Anthropology Bachelor of Arts degree. Abstract: What is geek? More often than not the word conjures up images of overweight, white, older men dwelling in their parent’s basement with their pale faces bathed in the soft glow of a computer monitor. It is an outdated stereotypical version of members in this particular subculture of society. In the past, geeks were limited to interactions with other geeks through interpersonal relationships within their own community. With the impact of globalization spreading access to various fandoms and through the advancement of technology connecting geeks not just in a room but across great distances, geeks have been experiencing a fully blown renaissance of their subculture across mainstream media and invading pop culture. The popularity of geeks in mainstream media has given rise to the golden age of “geekdom”. This popularity has also limited what it means to be geek and changed it to fit the norms of what society deems acceptable. The concept of geek chic embraces geek but only if it conforms to fit with the rest of pop culture. At the same time geek is limited by some, it is encouraged to explode in an effort to exploit merchandising opportunities. How is this viewed by geeks across the spectrum? In this paper, I explore the exploitation of geeks through material goods and the use of societal norms to restrain the subculture while giving it a broader audience to society. If the growth of geek popularity continues, we may all consider ourselves geeks in the future.